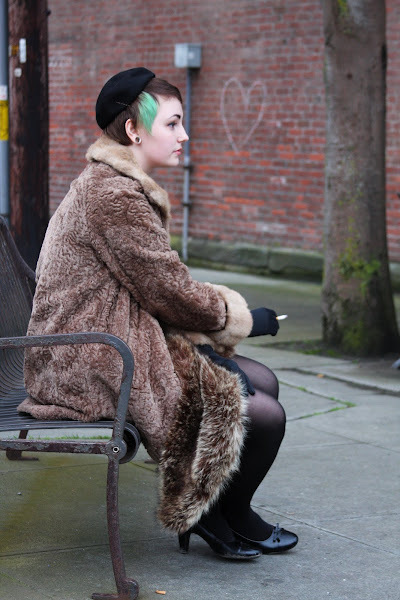 I hadn't anticipated getting any street style photos on my trip Saturday but after dinner at the Fountain Cafe I passed this lovely girl enjoying the evening on a bench downtown. 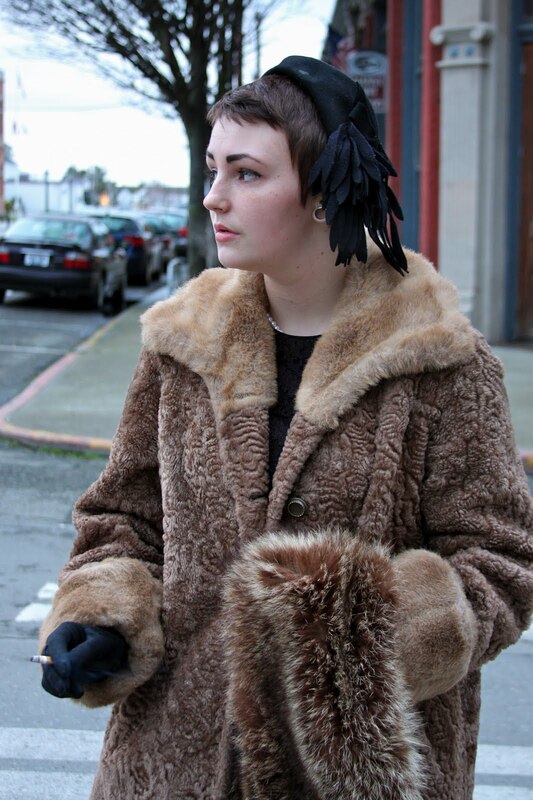 She was on her way to a nearby event and dressed for it in vintage perfection. She said that her outfit consisted of a mix of Goodwill finds and items from her step mom.